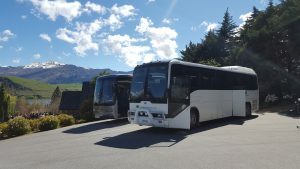 Professional Touring’s fleet includes some of the most modern coaches in Queenstown. Team this up with the expertise that only experience can bring and you know your groups transport is in very good hands. 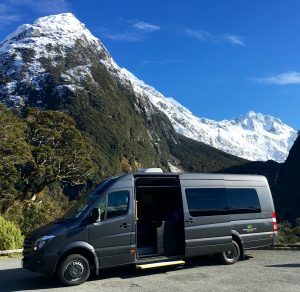 Whether you are a golfing or wedding group, having a conference at different venues around town, or requiring Queenstown based touring options, Professional Tourism’s experienced team will make the critical difference to ensure your transport needs are handled smoothly and no matter what the circumstances and requirements, your day will be a great success. We consider the professionalism of our drivers and operations staff a key component in ensuring your charter is a resounding success. Professional Tourism’s large and varied fleet of vehicles caters to all group sizes. From luxury tour coaches for corporate events to luxury cars for VIP’S we have a solution for you. From a small comfortable luxury coach for your exclusive golfing group to a fleet of large state of the art buses we have the perfect solution for your group transport needs. 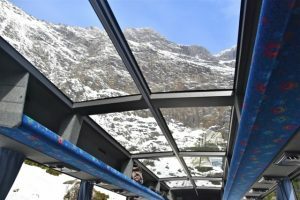 Our large 5 star coaches are great for team and specialists groups who are basing themselves in Queenstown and wish to venture further afield. Luxury 3-4 and 5 star coaches ranging from 16-50 seats. Air conditioned coaches with climate control for maximum comfort. Comfortable reclining seats fitted with seat belts. Twin doors for easy entry and exit. DVD systems with high quality PA.